Do your lighting products need to be UL listed or ETL listed? And what about DLC and Energy Star? When it comes time to get your building permits and pass inspection, a tiny little sticker on your lighting fixture could end up being the difference between opening day and weeks of headaches. 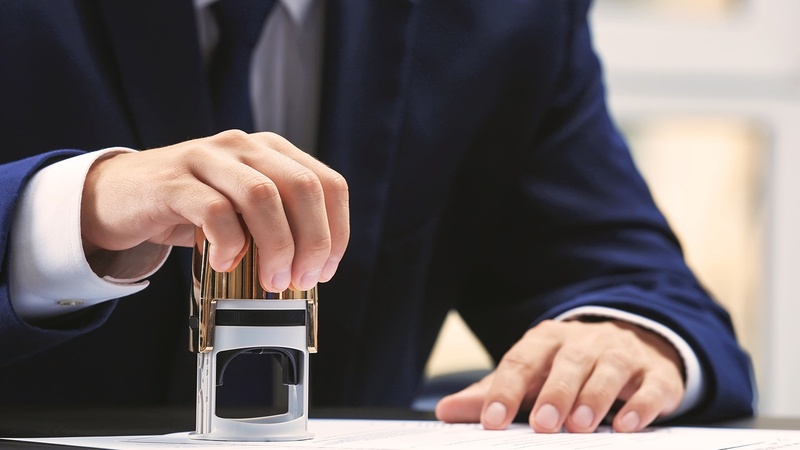 Knowing ahead of time about the standards and certifications that inspectors may be looking for will help you to stay sane through the oft-exasperating task of getting a space permitted, inspection-passing, and open. In this post, we’ll look at four different standards that are often required by inspection technicians and local code. Almost 100 percent of the time, code will require your lighting fixtures to be either UL or ETL listed. These standards ensure that electrical products are safe. Both UL and ETL listing apply to most electrical products, not just lighting products. If the marks seem familiar, you've probably seen them on small electrical products around your home. And if you’re looking to qualify for rebates, your lighting will almost always need to be either DLC listed or Energy Star certified –– the second two standards we'll explore in this post. How are these standards different and which apply to your project? We’ll take a deeper dive here, to help you better understand each of them. If a product comes with a UL mark, it signifies that it has passed Underwriter Laboratories’ (UL’s) safety requirements for use by consumers and in places of business. 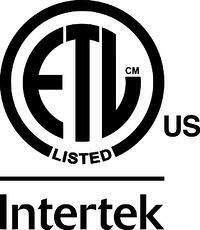 ETL is another electrical safety certification. It’s doled out by Electrical Testing Labs, which is operated by Intertek. ETL tests products to the same safety standards as UL. Like with UL, an ETL mark signifies a product’s safety for the public. In lighting, UL is a more common mark than ETL. But there really is little difference between the two, especially for those trying to pass inspection. Inspectors and Authorities Having Jurisdiction (AHJs) accept both, as both show compliance with the minimum safety standards put forth by NRTL. It is, however, a common misconception that UL is the only acceptable mark of compliance. Both UL and ETL are recognized as NRTLs, or Nationally Recognized Testing Laboratories. The U.S. Occupational Safety and Health Administration (OSHA) regulates and recognizes NRTLs. According to many manufacturers who seek these certifications, gaining ETL listing tends to be a more expedited process than UL listing, despite the fact that testing is identical. And, in recent years, as technology has caused a proliferation of product, more manufacturers seem to be gravitating toward ETL as its listing laboratory, due to its quicker certification process. In short, these days, ETL is often considered the more expedient testing laboratory of the two. When is UL or ETL listing required? In an electrical product, like a lighting fixture, UL and ETL would specifically test to make sure it won’t end up malfunctioning and causing a fire, or some other safety hazard. If a product is UL or ETL listed, or certified, it is deemed safe for the public. That’s precisely why either UL or ETL listing is almost always required by commercial building code. When is UL or ETL listing not required? A lot of residential-grade lighting products will be neither UL nor ETL listed. This can be a problem to solve for those customers who come to us with a particular fixture specification in mind that may be manufactured by a company that’s more residential-oriented like, say, West Elm or Crate and Barrel. While many products sold by those companies are UL or ETL listed, not all of them are. In that situation, it’s our job to find a similar specification from a manufacturer who would put their products through NRTL (UL or ETL) safety testing to make sure you pass inspection and get open for business. What about UL and ETL recognized components? Sometimes, individual components to be used modularly in complete products will be separately recognized by an NRTL like UL or ETL. Generally, a component is recognized while a product is listed. You can find a link to examples of these marks at the end of this blog post. Unlike UL and ETL, DLC is not a safety regulation. As such, it has no association with OSHA nor NRTL. Further, DLC is specific to lighting and does not list general electrical products like UL and ETL do. 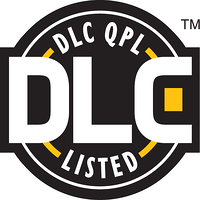 Read more about DLC here: What does it mean for a product to be DLC listed? DLC stands for DesignLights Consortium, and if a lighting product has earned certification from that organization, it signals a high level of both quality and energy efficiency. The DLC label provides some certainty for decision makers. The organization's stringent standards do a lot of the vetting and due diligence that you would otherwise need to perform when working with a lighting manufacturer. DLC 4.0 is out. What changes should you expect? Lighting products often have to be DLC listed as a qualification standard of utility companies issuing rebates. Like DLC, Energy Star is energy efficiency-centric. Unlike DLC, Energy Star certifications tend to be on more residential-grade products than commercial ones. More: Why should I choose Energy Star certified lighting products? Energy Star certification is awarded by the U.S. government’s Environmental Protection Agency (EPA). 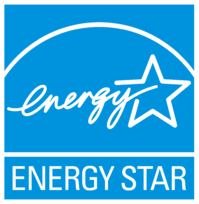 If a manufacturer has secured an Energy Star label on its product, it is probably pretty reputable and trustworthy. The second thing an Energy Star label tells you is probably obvious. The product is going to save you money on energy when compared with the conventional, run-of-the-mill, non-energy-efficient equivalent of that product. There are different variations of both UL ant ETL marks. We really don’t want a sticker to be the loose thread in a project that causes the whole thing to unravel. So part of our project management process includes properly vetting manufacturers to ensure that their products are reputable and won't be a roadblock for you in passing inspection.